Of all of the green options available and green lifestyle changes that an individual can make, the easiest and most common begins in the kitchen. Food and cooking green living options are available in various forms and on various levels. For an individual who only wants to change their diet, there are several organic and cooking options available. However, food and cooking can encompass an entire lifestyle change. The following are a few of the food and cooking options available for green lifestyle changes. These lifestyle changes answer several lessons including why someone should go green, benefits of going green in the kitchen, and help aspects of food and cooking as a pertains to going green. Organic food changes are the easiest form of food and cooking changes that can alter a person's lifestyle. 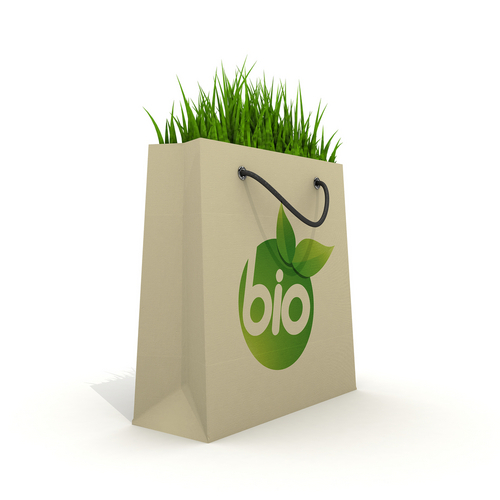 Organic foods have several green living benefits including avoiding genetically modified food options which may or may not be disclosed to the public on food labels. Organic food changes may also lead to a vegetarian lifestyle or a lifestyle that promotes humane treatment of animals. Many individuals will purchase grain fed meats in order to avoid not only genetically modified options but also to avoid inhumane treatment of animals on franchise farms. Organic food changes may also lead to a localized increase in food production and support of organic farmers. For those individuals who want to take their organic food changes a step further or who may not be near organic farming options, the option of urban gardening is available. Urban gardening is one of the largest green living niche communities in the green living lifestyle. Urban gardening can be done in any environment. Window farms are available for those individuals who live in apartments and do not have the ability to have a patio garden. Patio and container gardens are available for individuals who live in town homes or apartments with smaller patio areas. Another option for individuals is to use the many farming plan to create an urban garden environment that produces organic food for a healthier green lifestyle. There is a growing increase in cooking and kitchen where consumer products that are geared toward eco-friendly and nonchemical options. For example there are now green options to Teflon and to other nonstick coating forms of cookware. Kitchenware is seeing a turn to silicone-based rather than metal-based options for cooking. This is due in part to the energy reduction that is used when cooking with silicone-based products. This is also due to the fact that silicone-based products do not require any special type of cooking spray which reduces oil use and create a more organic health and food lifestyle. Is Urban Farming The Answer to Food Security? Could Cricket Farming Be A Sustainable Food Source?